Season's Greetings to one and all from everyone at Earl Soham Community Primary School. 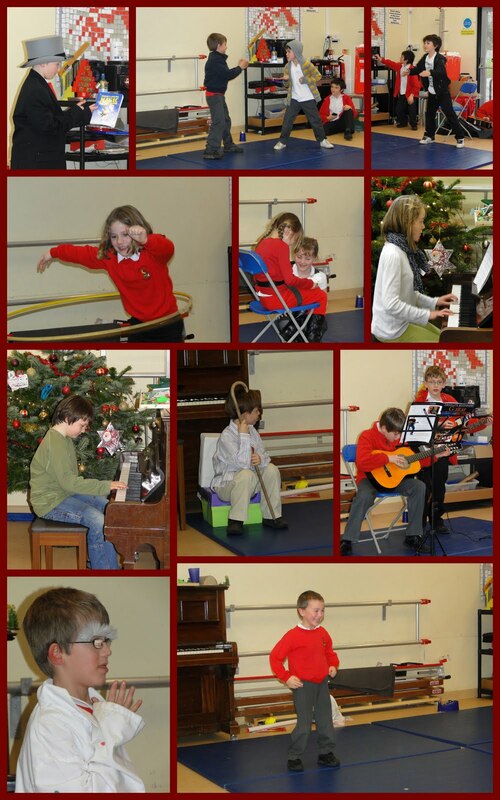 The annual Earl Soham Talent Show saw the term out in style today, with some fantastic acts, including singing, dancing, instrumental performances and drama. We hope you enjoy this selection of highlights. Thank you to Mr Perry for providing a copy of the Choir video. 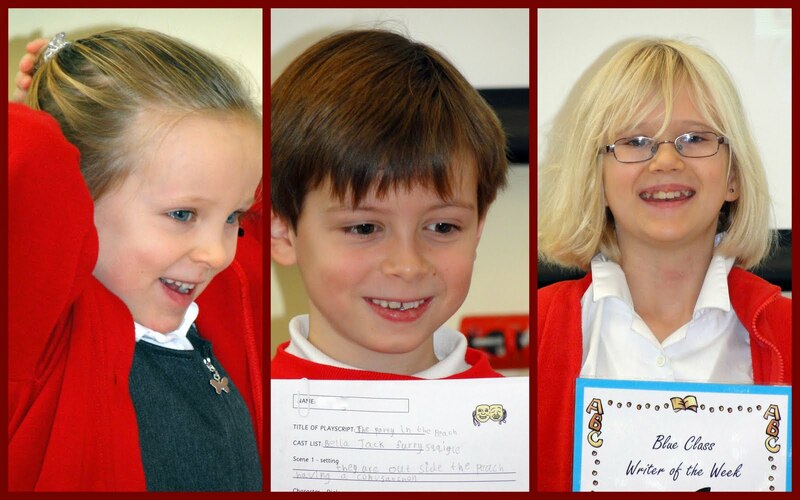 We are very proud to announce that the school has achieved the Sing Up Silver Award. The school was granted the award in recognition of the singing that takes place in the school each week and the way in which pupils and the wider community are involved in singing events throughout the year. We are very pleased to have achieved this award and have already begun planning how to achieve the Gold Award. 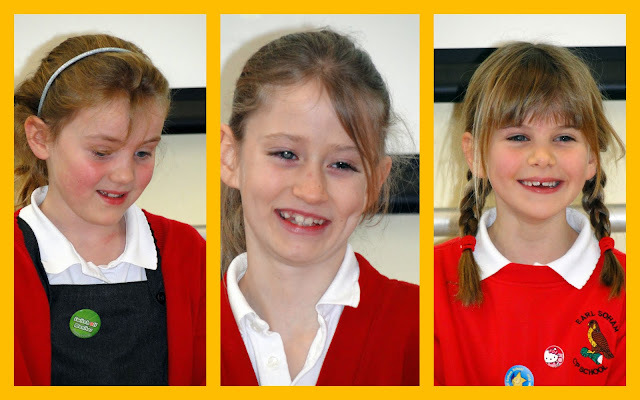 Make time for the whole school to sing together in assembly every day. Parents and members of the community, if you are a keen singer and would like to get involved, please contact Mr Mansell at jamesmansell@earlsoham.suffolk.sch.uk or pop in to the school and let him know. 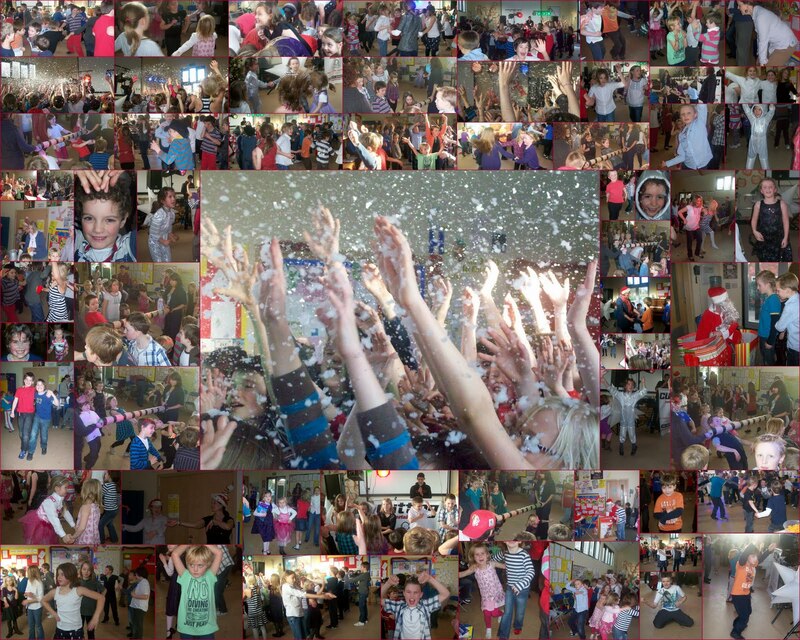 This afternoon, the whole school took part in a fantastic party which was generously supported by the PTFA. A brilliant disco provided the entertainment which included a foam machine and limbo pole. All children fully entered the party atmosphere and were amazed when Father Christmas made an appearance, bearing gifts for all. Looks to me like everyone had great fun! 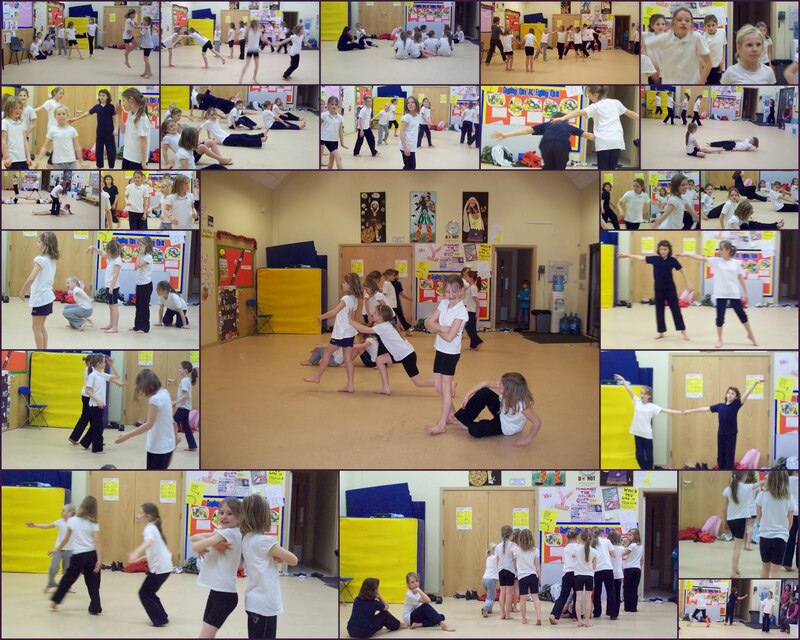 The after school dance group, following 8 weeks of work performed a fantastic rendition of 'Euro Groove'. The continued hard work and efforts of the children, superbly supported by visiting dance teacher Mrs Jarvis, came to fruition with a stunning performance at the end of today's session. Girls, Mrs Barker and I were in awe of your performances - just goes to show what determination, effort, commitment and a desire to both enjoy and succeed can result in! 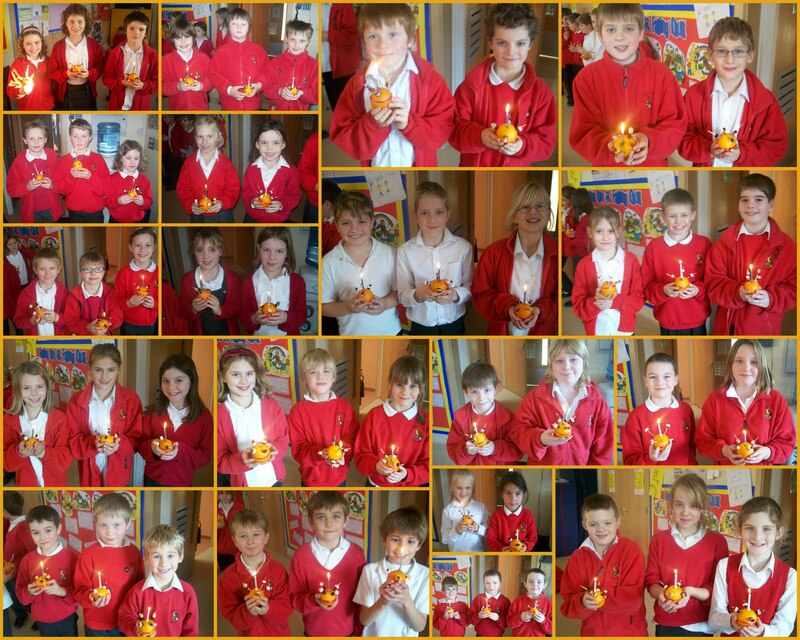 This afternoon, children in Yellow and Blue classes made Christingles. Christingle means 'Christ-Light'. The Christingle celebrates the light of Christ. The first Christingle service was in Germany around 1747. The service encouraged children to keep a candle burning in the window of their home so that people who passed by would see the light of Christ. The Christingle service teaches children about Jesus. Of course Christmas celebrates the birth of Jesus, but the Christingle celebrates the meaning of Jesus' life, with each part of the Christingle orange having it's own symbolic meaning. The orange itself represents the world. 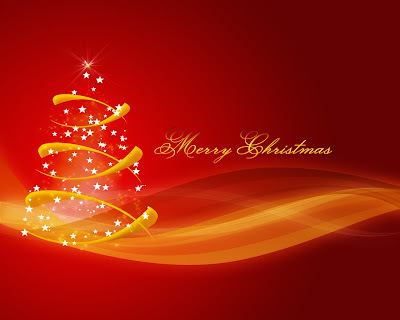 The red ribbon around the orange symbolises the blood of Christ. The four cocktail sticks are the four seasons of the year. The dried fruit or sweets represent the fruits of the earth and the earth's riches God has blessed the world with. The white candle, which is place in the top of the orange, represents Jesus, the light of the world that shines over everything. Christingle services usually takes place on the last Sunday before Christmas or on Christmas Eve. 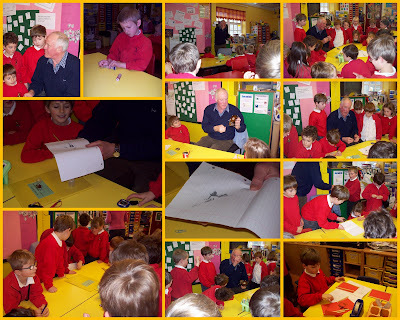 Yellow class welcomed Mr Speight, one of our grandparents, into school this afternoon for a fascinating talk and demonstration of the use of magnets. This followed on from their current science topic of 'FORCES'. Children watched and listened attentively as a range of magnets were produced and then demonstrated. 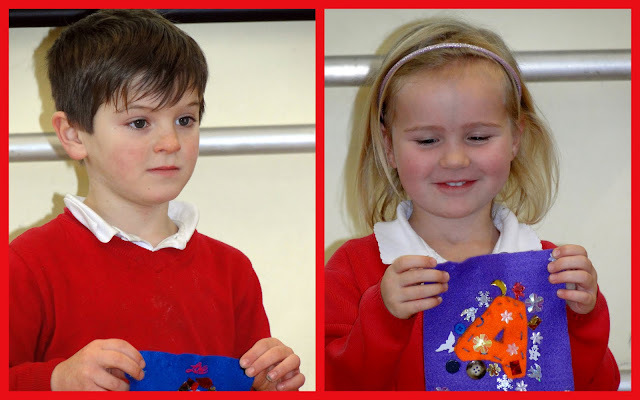 The children had a great time experimenting with different magnets and physically seeing the effects that they had. We are expecting delivery of our Christmas tree on Monday and would like to get all children involved in us decorating it. 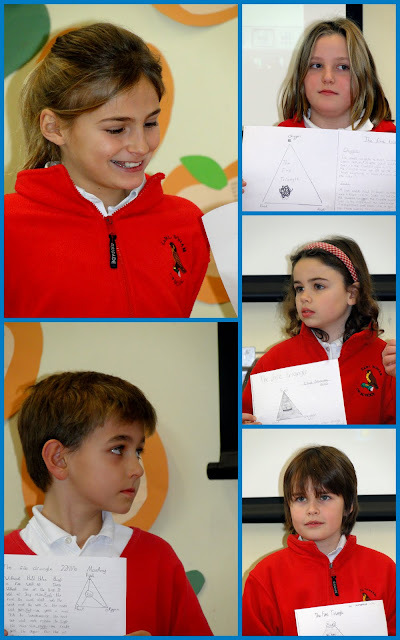 All children are warmly invited to make their own decoration for the tree to share with the rest of the school. It's a great opportunity to recycle materials in an interesting way. 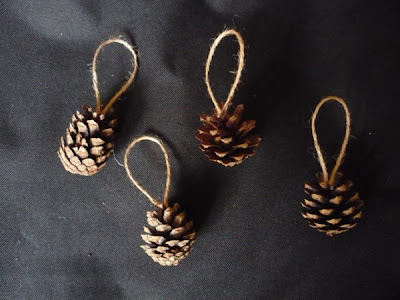 A starting idea which children could develop could be the decorating of pine cones to be hung on the branches. The more novel the idea, the better - it's a great time of year for the children to really 'sparkle', so we hope that as many as possible will take part - pre-school children included. 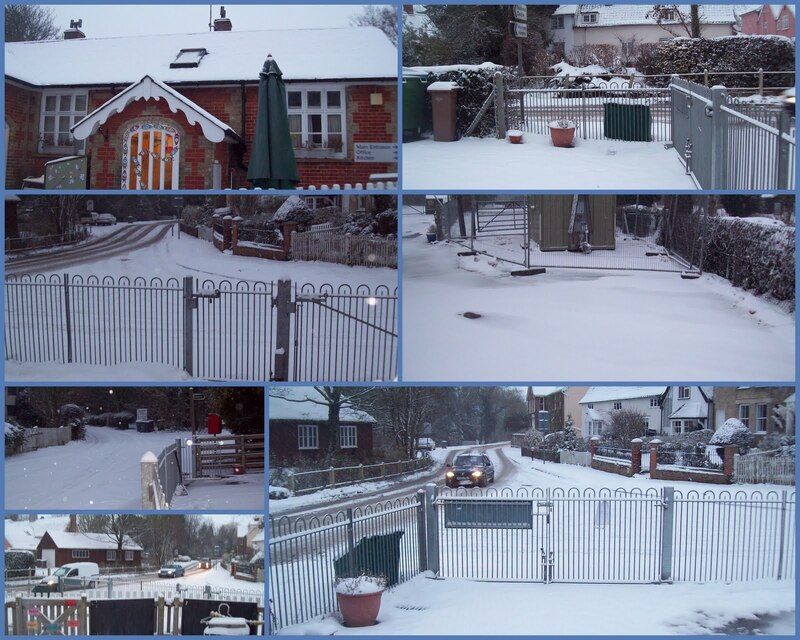 The school will be closed today as conditions around the school are extremely dangerous because of the snow and ice. With temperatures unlikely to get above freezing all day and having taken all risks into consideration, I hope that you understand the reasons for this difficult decision. Please stay safe and we hope that things will get back to 'normality' on Monday. More snow has settled over night and there is currently light snow falling. 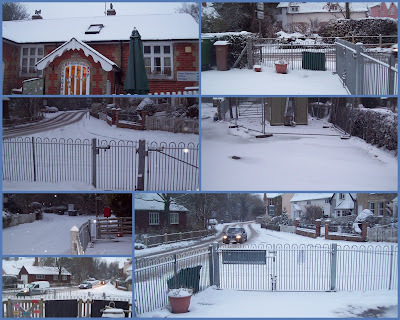 The approaches to the school and the surrounding roads have a covering of snow. Families may decide to keep their children at home, in which case the absence will be authorised by the school. The journey from Ipswich this morning took over an hour. Should there be more snow during the day, families may come to school and collect their children early from the school office. If you phone in advance we will try to make sure your child is ready for collection. Please do not take your child directly from the playground.